Provasil is a complete combination of herbs and nutrients that will nourish the brain and aid you in maintaining your mental sharpness as you age. "Senior moments" are often viewed as an unavoidable part of getting older, but they don't need to be! Provasil has scientifically researched ingredients that can help boost focus, improve memory, and combat subtle age-related cognitive decline. There are 60 Provasil tablets in each bottle. 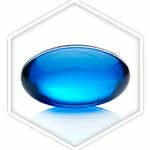 Recommended Use: We recommend taking between one and two Provasil tablets each day. We advise against taking more than the recommended amount. All Provasil ingredients have been subjected to validation and testing to ensure their quality. This vitamin is known for its ability to support the immune system, and studies also suggest it plays an important role in supporting optimal brain function both during early developmental stages and throughout a person's life. Researchers who conducted an investigation with guinea pigs found that when the animals did not get enough vitamin C during early life, they had 30 percent fewer neurons in the part of the brain called the hippocampus. This brain region is associated with spatial memory and the formation of new memories. Additionally, vitamin C has antioxidant properties, which may help protect the brain by combatting oxidative stress thought to contribute to age-related mental decline. Many adults are deficient in folate, which could contribute to cognitive decline. This is because inadequate levels of folate have been linked with higher levels of homocysteine inside the body. This compound can cause damage to the hippocampus. Researchers who conducted a study with adults between the ages of 50 and 70 gave the subjects in one group a folic acid supplement each day, while the individuals in the other group were given a placebo. The results showed that folic acid supplementation was associated with better performance on tests measuring different aspects of cognitive function, including memory, information processing speed, and word fluency. Foods that contain this vitamin include familiar animal products like poultry, eggs, and milk. Low vitamin B12 levels in the body are linked to high concentrations of homocysteine. 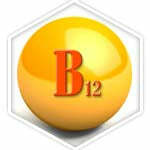 Many people, and many seniors in particular, have vitamin B12 deficiency, which can cause numerous physical symptoms. This nutritional deficiency has also been linked to problems completing tasks involving reasoning and memory loss. Getting enough vitamin B12 by eating the right foods and taking it in supplement form can play a role in maintaining brain health and relieving problems with cognition that are due to deficiencies. 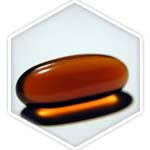 There are eight "B" vitamins, and biotin is one of them. 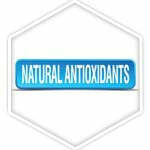 It is naturally found in different animal products and plant-based foods. These include nuts, bananas, and liver. Biotin must be present in the body in proper amounts to support the health and function of the brain and the central nervous system. Special brain chemicals called neurotransmitters that transfer messages from cell to cell and aid in the regulation of mood, cognitive function, and memory are synthesized with the help of biotin. Choline bitartrate is an important nutrient that has two crucial benefits. 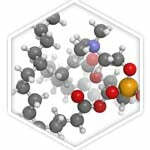 First, the choline in Provasil is a vital part of the building blocks that comprise cell membranes. These membranes are found in all of the body's structures, including the brain. Second, this Provasil ingredient is an acetylcholine precursor. Acetylcholine is a neurotransmitter associated with memory, alertness, focus, and specific types of learning. 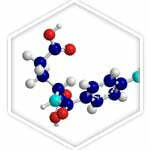 L-tyrosine is an amino acid that forms the structure of the body's proteins. 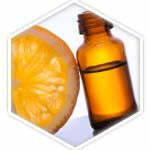 It is thought to be related to better mental alertness. The results of some studies also suggest it may boost cognitive ability when individuals are fatigued or in stressful situations. A different type of study found that L-tyrosine consumption was linked to significant improvements in performance during a task that required individuals to make use of their working memory. Like L-tyrosine, N-acetyl-L-carnitine is an amino acid. It is also a potent antioxidant that can help prevent oxidative stress and the resulting eventual damage by neutralizing free radicals in the brain. This amino acid may also increase levels of acetylcholine because of its unique capability to cross the blood-brain barrier. Cognitive benefits associated with this key ingredient in Provasil include better working memory and recall, as well as improvements in the formation of long-term memories. 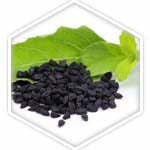 Practitioners of traditional Hindu medicine have used this extract as a brain booster for centuries. Recently conducted scientific studies suggest long-held beliefs about the power of bacopa monnieri may indeed be correct. In one clinical study, subjects who took bacopa extract for a period of twelve weeks showed improvements in memory. They were also able to process and grasp new information in less time. In another study, seniors who consumed the extract were better at both acquiring and retaining new memories. Finally, other bacopa studies have found that an additional benefit of the herb is better performance on tests designed to measure attention. The naturally occurring compounds in ginkgo leaves have a solid reputation as a cognitive performance enhancer. This plant-based extract in Provasil has antioxidant properties, and it is thought to be capable of enhancing blood circulation inside the brain. 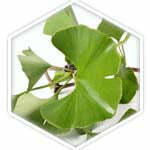 In 2009 dozens of ginkgo studies were reviewed, and it was acknowledged that the plant appears to positively impact various areas of cognitive function. These include cognitive flexibility, working memory, long-term memory of visual and spoken information, and selective attention. This compound is a crucial part of cell membranes. 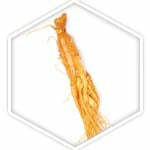 It is found in high concentrations inside the brain, and it supports a number of brain processes. 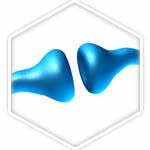 These include regulating the action of synapses and receptors as well as synthesizing and releasing neurotransmitters. There have been over a dozen clinical studies supporting the notion that this ingredient found in Provasil can lessen the severity of cognitive declines associated with age. People who used phosphatidylserine exhibited improved concentration and learning. They also performed better when presented with memory tasks like remembering faces and recalling phone numbers. This amino acid found naturally in the body is present in its highest concentrations in the lungs and the muscles. It is also crucial for ideal brain function. Foods such as beef and seafood are good sources of L-glutamine, which is also synthesized by the body. As people age levels of this amino acid often decline, so it may be helpful for seniors to take L-glutamine in supplement form. Aside from supporting the elimination of ammonia from all parts of the body, including the brain, this amino acid may boost memory and mental alertness. Phosphatidylcholine is a type of compound called a phospholipid that works along with other key ingredients in Provasil to increase acetylcholine levels inside the brain. One experiment done with college students demonstrated that this compound may improve mental function. Students who were given phosphatidylcholine showed significant improvements in explicit memory just 90 minutes after ingestion. The results of studies on animals have suggested a link between taking phosphatidylcholine and better memory and learning ability. There is even some speculation among certain brain scientists that this compound could support the regrowth of brain cells that have been lost! This Provasil ingredient is also known as Asian ginseng, and it has been an important part of traditional Chinese medicine for millennia. Users of ginseng cite enhanced mental alertness as an advantageous effect, and a large amount of evidence does suggest it can boost overall mental functioning. Benefits of ginseng that have been observed in scientific studies include better abstract thinking, quicker reaction time, and improved performance on tasks that are detail oriented. To optimize the effects of ginseng, it is often taken in conjunction with ginkgo, which is also part of the Provasil formulation. 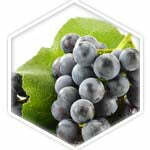 Naturally found in red wine and grapes, this antioxidant and anti-inflammatory compound has been connected to heart health for quite some time. More recent evidence suggests it may also promote optimal brain function. During one study, mice given resveratrol injections exhibited improvements in both the ability to learn and the ability to form long-term memories. 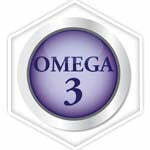 This omega-3 fatty acid also known as DHA occurs naturally in a limited number of foods. One of these is wild salmon. The membranes found in the brain are comprised of numerous compounds, including DHA. Its valuable roles include helping to sustain the optimal structure of membranes and improving processes like cell-to-cell communication and nutrient transport. Combined, DHA's helpful effects support the overall function of the brain. 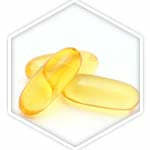 Levels of DHA that are too low have been linked to cognitive decline. Therefore, those who want to do whatever they can to preserve brain health should be sure to consume adequate amounts of this fatty acid. Each Provasil ingredient was chosen to deliver maximum memory and focus enhancing benefits and support your overall health. To make sure the results you achieve are noticeable and consistent, we make each capsule of Provasil using potent herbal extracts in their standardized amounts. Each ingredient is premium quality and pharmacy grade, and Provasil is free from fillers, manmade additives, and compounds manufactured from harsh chemicals. We are committed to using only ingredients that are GMP laboratory certified, highly concentrated, and easily digestible. The facility in which Provasil is manufactured is FDA inspected. We follow the strictest Good Manufacturing Practices (GMP) standards during the production process.